Parsley has a compound called Myristicin. This compound helps in prevention of the tumor in the lungs region. Thus, Parsley is said to fight with cancer. Due to wear and tear the bone tends to weaken off. Parsley has anti-inflammatory properties that makes it apt to deal with arthritis, especially Osteoarthritis and Rheumatoid Arthritis. Luteolin and Vitamin C are the 2 strong anti-inflammatory properties of parsley. Consume it on regular basis to benefit from it. To remain healthy and disease free, a strong immune system is must. Higher the immune system, better is the body’s ability to fight with germs and diseases. Parsley contains Vitamin A and C which is said to strengthen the immune system. The heart is always at risk. A small negligence and you ruin the health of the heart. There are harmful amino acids that affects the functioning of the blood vessels.Homocysteine is one among them. Parsley has Folate and Vitamin B9 to keep a check on these harmful amino acids. Osteocalcin must be synthesized to strengthen the bones. Parsley has Vitamin K to synthesize the Osteocalcin. 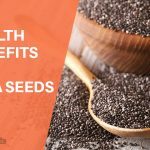 It also disallows the calcium to pile up in the tissues, thereby preventing many diseases. If the haemoglobin count in the red blood cells is less, it leads to anemia. Parsley has iron to build the blood in the body. The vItamin C helps the body to absorb more and more iron. Parsley has antibacterial properties which supports it to fight with bacteria and prevent infections in the body. Our body has many glands and they must be functioning properly to carry out all the bodily needs. Parsley releases enzymes which supports these glands. The Blood is the most sensitive content of the body. Any impurification will lead to massive problems. Thus, parsley acts as a blood purifier due to its medicinal properties. Parsley is said to take care of the elasticity of the blood vessels. Any repair or damage to the blood vessels will be taken care by parsley. If you want an immediate relief from diarrhea, drink parsley tea. You will see a control over your situation. The enzymes are must to digest the food. Parsley helps in digesting the food which prevents the fats from getting stored in the body. Our body consists of good and bad cholesterol. The bad cholesterol is dangerous for heart, hence must be removed. Parsley dissolves the cholesterol that has been stored in the veins. If you are suffering from severe ear pain or ear infection, parsley can be used to treat them. ● Take few drops of oil in a container. ● Set it on flames to warm it up. ● Add some parsley leaves. ● Take it off and cool it down. ● Use a cotton ball to add oil to your ears. When there is too much of pressure on blood vessels, it leads to edema. Add parsley to your diet to strengthen the blood vessels. This will automatically fight with the disease. You do not have to opt for surgery in case of gallstones. Eat parsley to dissolve the gallstones. A hormonal balance is must to lead a smooth life. Parsley is said to balance hormones in the body. 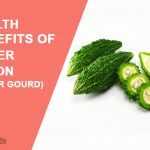 It also strengthens the uterus by restoring the blood. It also improves estrogen levels in the body. Kidneys are said to eliminate wastage from the body. Parsley is said to increase the kidney activities, thus helps in throwing the toxins out of the body. Parsley is a great remedy to deal with the monthly pain that a woman has to bear every month. You can also use parsley to deal with irregular periods. Parsley contains Vitamin A which cures night blindness. 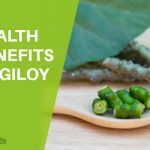 Add this leafy herb to your regular diet for a speedy recovery. The vitamin c present in parsley helps to strengthen the teeth. Any stomach pain or infection can be easily dealt by consuming parsley tea. The pregnancy pain can be easily controlled by parsley as it serves as an uterin tonic. This life threatening disease can be easily treated by adding parsley to your diet. The body doesn’t possess the ability to produce vitamin c on its own. Thus, we need an additional source to add vitamin c to the body. Parsley has ample vitamin c to support the beauty needs of the skin. This Vitamin is said to fight with free radicals that causes wrinkles and fine lines on the skin. The skin cells might get damaged due to various activities. The beta carotene present in parsley gets converted into Vitamin A. This vitamin then repairs the damaged cells, leading to great skin elasticity. Vitamin c, K and chlorophyll helps to treat under eye dark circles. It also reduces the puffiness of the eyes. ● Extract fresh juice of parsley. ● Add little yogurt to it. ● Mix them and apply gently on the under eye area. ● Wash with cold water in the morning. ● Follow this application thrice a week. The sebum that is produced by the skin can be easily controlled by parsley. It cleanses the skin thoroughly and prevents occurrence of acne. Parsley has Zinc in it which acts prevents skin inflammation. Parsley is a natural antioxidant and thus fights with free radicals that causes wrinkles. The dark spots and uneven tones kills a beautiful look. ● Take parsley leaves and chop it off. ● Place it in lukewarm water. ● Make a thick paste out of it by grinding it finely in a mixer. ● Add a teaspoon of raw honey and 1 teaspoon of fresh lemon juice to it. ● Mix all the ingredients. ● Clean your face thoroughly. ● Apply this pack on your face and neck. ● Leave it for 20 minutes. ● Wash it with cold water. ● Use it as a final rinse. The dandruff will slowly leave your scalp and you will be relieved from the itchy flakes. ● Take some fresh parsley leaves. ● Make a thick paste put of it. ● Apply the paste on the scalp and leave it for few hours. ● Wash it off with a mild shampoo. Apply it twice a week for faster lice remedy. It works! ● Take some water and set it to boil. ● Add parsley leaves and let them boil for 10 minutes. ● Cool it down and make a paste out of it. ● Apply this parsley paste on the shampooed hair and scalp. ● Leave it for few hours and rinse it off. You will feel the difference in the texture of your hair. Your tresses will be more silky, shiny and smooth. Apply this paste twice a week for better results. ● Add powdered parsley seeds to it. ● Apply this oil on your scalp and forehead. ● Gently massage it in circular motions. ● Wash it in the morning with a mild shampoo. The blood circulation to the scalp will increase, leading to hair growth. Follow this twice a week for better results. Parsley has copper in it which helps to retain the natural color of the hair. The hair might weaken up due to deficiency of nutrition. Parsley has antioxidant flavonoids to control hair loss. Apigenin produces TGF-beta1 which controls the hair fall. ● Make a thick paste of parsley leaves. ● Apply this on your scalp. ● Cover it with a shower cap and leave it for 2 hours. ● Wash it with a mild shampoo and condition it. Hope this article has been useful to you. 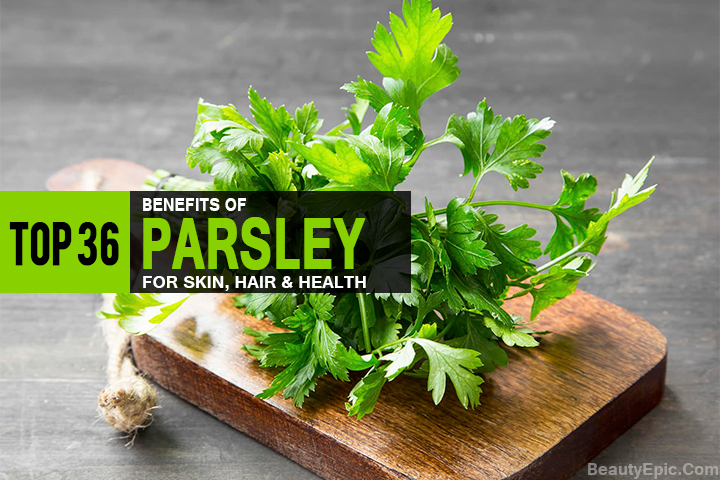 Parsley has multiple benefits to health, hair and skin due to its medicinal properties. However, an over consumption will lead to side-effects. Thus, set your quantity and add it to your diet. A limited quantity will definitely fetch you results. The above mentioned are natural remedies, hence patience is must. Let us know if you are aware of any other benefits of Parsley. We would love to hear it from you. 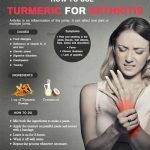 How to Use Turmeric for Arthritis Pain? Is It Safe to Drink Chamomile Tea During Early Pregnancy? Here you can see some Benefits of eating parsley. Parsley benefits and uses for health,hair and skin.This has vitamin c and many medical properties in it.